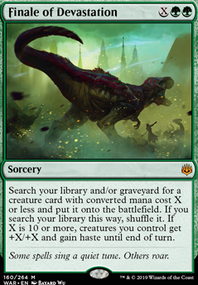 Can X be zero in a mana cost? Does Fall of the Titans still resolve if one target becomes illegal? @Zaane2 Most games that I've lost with Neheb have been because 1. 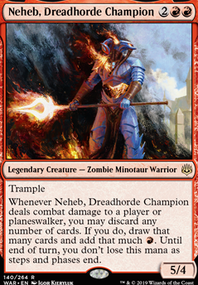 Neheb gets single-target removed as I cast my mana-generation/ritual spell, which is why I run Darksteel Plate , Whispersilk Cloak , etc., but more often 2. 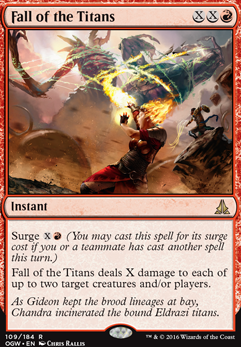 I dump all my mana into an X=40 Jaya's Immolating Inferno , Comet Storm , or Fall of the Titans , and someone counters it. 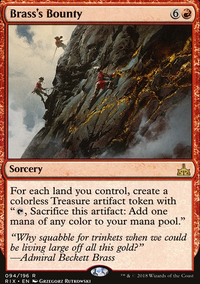 That seems to be the #1 problem facing all mono-red decks in the format, especially one whose wincon is dependent on a single spell resolving/all your eggs in one basket combo. 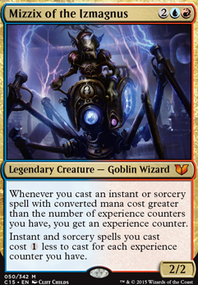 I agree that running more than the 1-mana anti-counterspell/disruption tech depends on your meta, though. How do you lose most of your games? 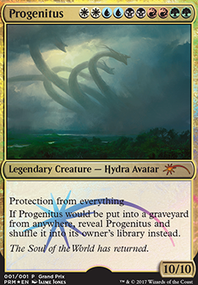 Bigant1 on Advertise your COMMANDER deck! This is a Mizzix deck. 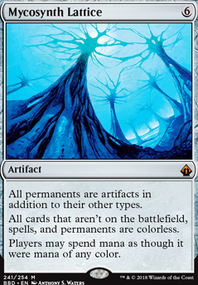 Its main win-con is Reality Spasm + Reiterate to get infinite mana with and then cast Fall of the Titans many times. It also wins by storming off. I also have High Tide to help my combo go off or help with storm. 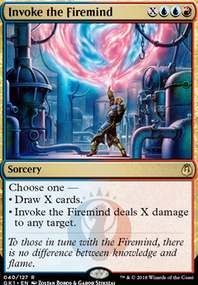 I use Firemind's Foresight , Merchant Scroll , Mystical Tutor , and Invert / Invent to tutor for the combo. I also have some storm cards.